You can export your FMX calendar and sync it with your favorite calendar system (Google Calendar, Microsoft Outlook, Apple Calendar, etc). Note: Exporting the calendar without searching or filtering first will export the entire calendar. If you only want to export a specific request type (schedule requests, transportation requests, maintenance requests, etc. ), or by specific custom fields (status, assigned users, buildings, etc), you will need to do the appropriate search or filter first before exporting. 1. Click the gear button near the top of your FMX calendar. Select Export iCalendar data. 2. Select the Google Calendar option. 5. Paste the FMX calendar link into the URL box and click Add Calendar. 1. Click the gear button near the top of your FMX calendar. 3. Select the Microsoft Outlook option. 4. Click the Export calendar button in FMX, click Yes or Launch Application in the pop up window that appears to add your FMX calendar to Outlook. 3. Select the Apple Calendar option. 5. 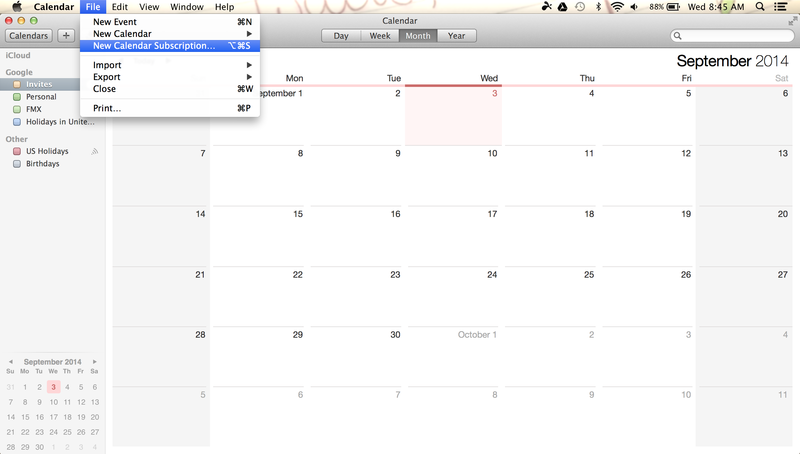 Open your Apple Calendar, click File, and click New Calendar Subscription. 6. 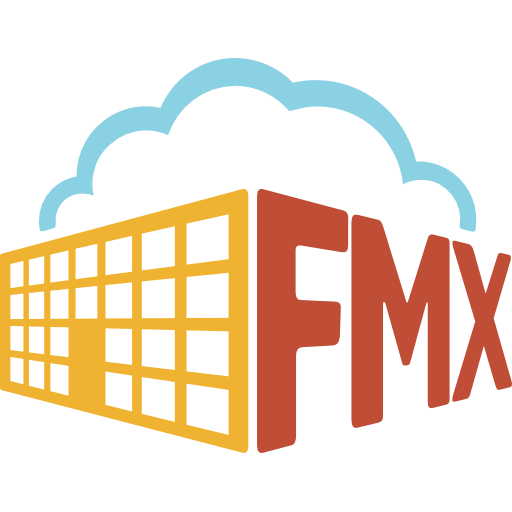 Paste the FMX calendar link into the URL box and click Subscribe.